Camping Les Plages de Beg-Léguer er en campingplads med 149 åbne pladser. I lavsæsonen under perioden 29-05-2019 - 06-07-2019 og 01-09-2019 - 22-09-2019, camperer du for €16,- per nat på en af de 149 åbne pladser på Camping Les Plages de Beg-Léguer i Becléguer (Côtes-d'Armor). På denne campingplads kan du, udover fordelagtig campering med dit CampingCard ACSI, også bruge dit ACSI Club ID (stedfortrædende identitet). Du bliver yderst venligt modtaget på denne pragtfulde campingplads, hvor der er mange blomster. Rummelige pladser og udsigter ud over havet. Sandstranden ligger på 400m afstand og Lannion på kun 5 km. Ideelt startsted for ture til Côte de Granit Rose, Les Sept Îles og Île Grande. A couple with campervan, we stayed 4 nights. Overall a fantastic campsite for motorhome/caravan, particularly if you chose a pitch at the front of the site with a view overlooking Beg Leguer beach below. Great access to the local beaches and coastal path (GR34) and not too far to the Granite Rose coastline further north (15 km by back route roads on a bike). A very friendly and warm welcome by the staff/owners who were most accommodating and helpful. Great fresh bread can be bought every day via their website. Incidentally the wifi is free and whilst not super fast is OK for most purposes (email etc.). Toilet facilities and showers were clean if a little basic, with the latter being hot if used during the day but a couple of times they were cold in the evening, but certainly didn't detract from the site. The indoor swimming pool was nice and clean and not too cold. Camping pitches are a nice size and most reasonably level, with electric hookup close by for most locations. A site that we certainly will keep on our list of ones to revisit if we're in the area again. 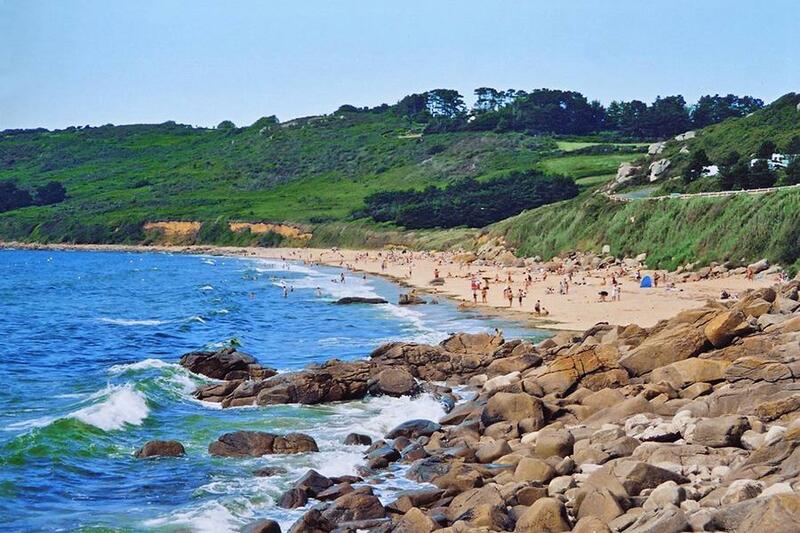 Vil du booke Camping Les Plages de Beg-Léguer eller have yderligere information? Det kan du via nedenstående oplysninger. Lannion-Trébeurden (i alt 9 km). Kør efter ca. 6 km, ved Champ Blanc (Bar-Tabac/Resto-Bar), mod Les Plages de Beg-Léguer. (Det er bedst ikke at køre gennem Servel). CampingCard ACSI sender din forespørgsel videre til "Camping Les Plages de Beg-Léguer".